There are no secret formulas to getting close to Jesus – There is only a secret place. In the secret place your faith grows as the character of the One who fills the pages of the Bible is revealed to you every time you enter in. It is my desire for every one who reads this that no matter where you are on your journey, whether you are at the door or you have just entered in, know that His arms are wide open to embrace you – just as you are. An amazing book that inspired me and challenged many areas of my life. I had a revelation about my prayer life which helped me to connect with God more intimately and understand the trinity better. The solid teaching woven with scripture and Heidi’s life experiences helped me to understand and put into practice what I was reading – it flowed beautifully! Thanks Heidi for putting in the effort and being vunerable with people in the hope to help others, you are so wonderfull! I’ve read this book already twice since it’s release and I cannot stress the point enough, READ IT!!! If you’ve come across this page, it’s not by accident…. One Complete Intimacy With God, will challenge and transform you. This book is FILLED with not just the author’s words, but GODS WORDS. It really is like life spills off every page. The scripture and insight in this book is craftfully woven through the story of one woman’s journey to finding her ‘secret place’ with God. It talks about loss and pain and suffering, and more, an ever-present help in her times of need. 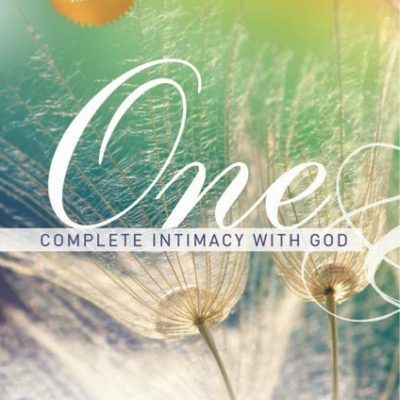 If you have never known true intimacy with God this book will give you hope, and practical advice. If you are hungry for more, or feeling in need of refreshing, this book will guide you to overcome that which is holding you back. It will speak life and faith and courage into your heart so that you do not settle for an etherial, lifeless Christian life; but you would persevere to know the God of the bible- a God who is to be EXPERIENCED. And if you are feeling God is close, what better way to affirm, strengthen and build upon that rich deposit inside of you?!! Every word will resonate within you, convincing you further that He is good and He is for you! I know this book will bless you, as it blessed me…. 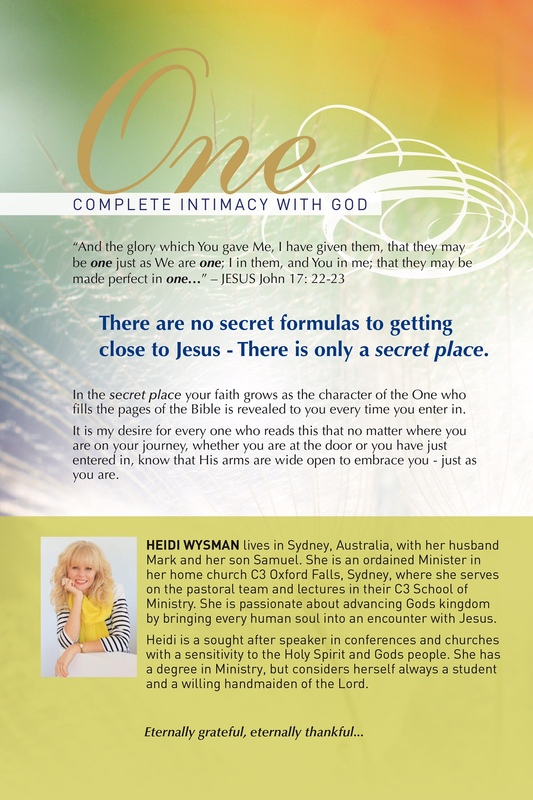 Heidi Wysman teaches us how prayer is the most intimate place we can be with God. Through her own 20 year journey of prayer and intercession found in the secret place, Heidi writes with a heartfelt passion to help others to be able to ‘see Jesus’. This book is personal, biblical, practical and inspirational. Complete intimacy with God’ will change your life. If you’re hungry for God then you’re going to love this book.